If you're planning a summer vacation to Europe, you may need to get a visa for each country you'll be visting. That's because the European Parliament has voted to end visa-free travel for Americans within the EU, in retaliation for the U.S. failing to live up to its agreements. The reciprocity agreement in question provides visa-free travel for citizens of all the countries within the EU and the United States. But the U.S. has failed to grant visa-free travel to citizens of five EU countries – Bulgaria, Croatia, Cyprus, Poland, and Romania. 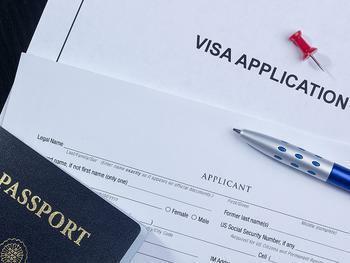 The vote urges the revocation of the agreement within two months, meaning Americans would have to apply for visas for each European country they want to visit. There are several more steps that must be taken before the agreement is revoked. The European Commission has two months to act. After that, the Parliament can go to court to force the change. Tourism promoters throughout Europe were said to be aghast at the proposal, fearing it will cut American tourism, which are already somewhat tepid because of terrorism fears.